This morning, I tweeted out that I had just made a butternut squash smoothie to die for. Within mere moments, I had a flurry of responses asking for the recipe. No surprise there: I don’t know too many foodies, vegan, raw, or otherwise, who don’t swoon at the mention of autumn squashes. I sent out a promise that the recipe would be up later in the day, and, good to my promise, I’m sharing it now. I’ve tried the Vega vibrancy bars before, and I love them, so I’m thrilled to have more! I had not tried the Vanilla Shake n’ Go yet (though I blogged about the chocolate flavor here), nor the Whole Food Optimizer. With that in mind, I decided to make the Whole Food Optimizer a part of breakfast. This powder blend was originally designed to mimic the recovery shakes that Brendan made for himself as he launched into life as a healthy vegan athlete. This means that it’s all whole foods, all plant based, and all taste-approved by an athlete with a rigorous training regimen. It provides about 45% of most of one’s daily vitamin/mineral needs, which means that, paired with a good diet, it obviates the need for any other sort of multivitamin or supplement. A smart investment! The other key donation to my breakfast came from the lovely Glass Dharma company. I’ve been eying these glass straws on other blogs with great envy for some time now, so I was delighted when the company offered to send me some of their 100% sustainable glass straws. Now, granted, there are a lot more plastics in our world than just drinking straws, but bear with me a minute and let me put things in perspective … As of March 2008, McDonald’s serves an average of 52 million meals PER DAY!…How many of those served do you think were given a plastic straw? I hope it is becoming obvious just how big of a problem these pesky little plastic straws can be. …and on top of all that, look at how cute they are. I was sold! As eco-conscious as I am, I tend not to think about the little choices I make every single day that are lousy for the planet: the straws I take from the deli, the cans or plastic containers I sometimes forget to recycle, or the grocery bags I so often use because I’ve forgotten to bring cloth. It’s something I need to improve on, and Glass Dharma has given me a good kick in the pants. Even the smallest things we do can make a difference, so thank you, Glass Dharma, for motivating me to look harder at my daily habits. I can’t wait to use, reuse, and reuse your beautiful straws again. Blend all ingredients on high till smooth and creamy. Enjoy with a slice of whole grain toast, or (appropriately) with my carrot raisin bread! Note that, if you don’t use Vega or another protein powder that’s a little sweet, you may want to sweeten this lightly with dates or stevia. This. Was. Heaven. I hadn’t counted on the Vega Optimizer being so perfect with the squash, but it sure was. In all, this was like sipping gingerbread through a straw. Disregard the whack color, please: it’s the Vega optimizer (which is a little green) that makes it green-tinted. If you were to use another protein, or simply not add it, it would be orange. But less chai-ish! 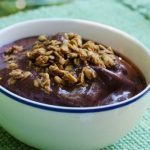 All of the smoothie recipes I share are designed to give you good nutrition without supplements. So if you don’t have Vega products or a protein powder that you’d like to add, that’s fine: you’ll still get beta carotene from the squash, anti-inflammatory properties from the cinnamon, and (if you use hemp milk), a nice boost of protein, too. I think that hemp seeds, a small handful of almonds, or nut butter would work really well here, too. Give it a try, and let me know how you modify it! Now that I’ve enjoyed this slice of heaven through a (glass) straw, fall can officially begin. It had me feeling so autumnal that I even wore a poofy vest today during my long, lovely walk through a sunny Central Park. I hope all of your Saturdays were as sweet. I love my Vega Shake ‘n’ Go! I need to try those bars though–I love those kinda bars. I actually just found a can of butternut squash in my pantry today from muffin baking last fall. I’m waiting for my Glass Dharma straws….very impatiently. I use a reusable plastic straw in my water bottle and I keep thinking BPA every time I sip! That looks really good! What I love is that it’s nice and thick. I can’t do smoothies for breakfast unless they have a thick, creamy consistency. Or else I’m starving in an hour and cranky that I didn’t just chew the fruit. Why did I never think of using butternut squash in a smoothie? This is so cool!!! I *love* those Vega Vibrancy bars but have never been able to find a retail store that reliably stocks them. I’ve only ever spotted them at some out-of-town Whole Foods locations, so I’ve taken to ordering them on iherb.com. The whole concept is excellent. 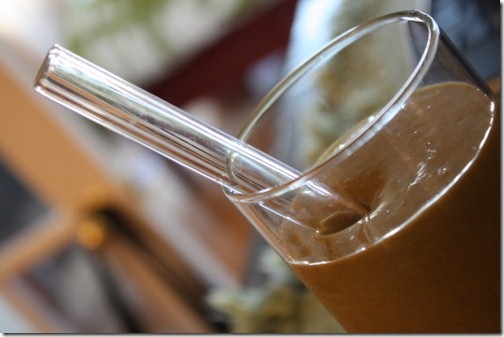 Glass straws – with cleaning brushes- genius! Yummy! I love the Vega Smoothie Infusion, I haven’t tried the other smoothie mixes though. 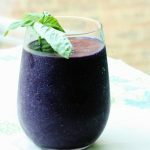 This may be the most exciting smoothie recipe I’ve ever seen! 🙂 I’ve been resistant to trying Vega products (price) but I’m convinced (and I’m going to Whole Foods today anyway) and just this week I caved and purchased Dharma straws (one of the dangers of reading so many food blogs.) I’ll be making this smoothie soon. 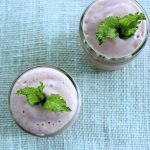 That smoothie sounds delicious and is easy to make. I absolutely have to make this at some point. I just got a magic bullet but have yet to use it. I also really want to try the Vega powders. That looks DELICIOUS! Can you believe…I don’t think I’ve ever had a butternut squash! I love the way they look and I can imagine how they taste…but I’ve got to give it a try. 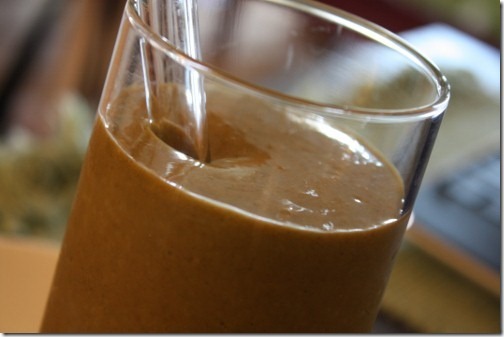 This smoothie looks so beautiful, so luscious! YUM! 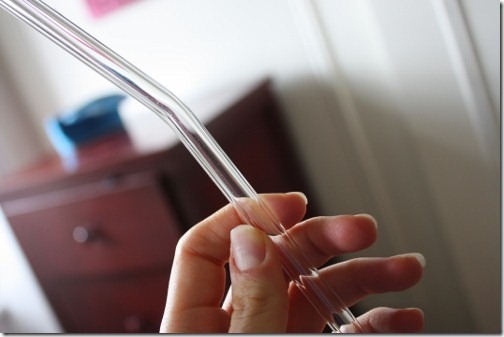 I love the idea of those glass straws, especially because they are so pretty. Having one of those would make my smoothies so festive! wOw. If that is not an innovate, delicious idea I don’t know what is. Most definitely on my fall repetoire!! I love the vanilla chai Whole Food Health Optimizer! 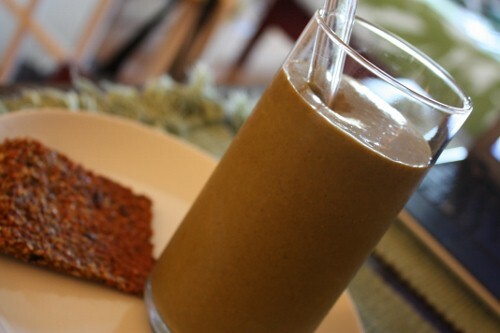 I make it with water, frozen banana(s), and bee pollen a few times a week. The vibrancy bars weren’t love at first bite (and I usually like “healthy” tasting things), but you’ve inspired me to give them another try. Oh my goodness – this sounds SO good!!! Fall through a straw – I love it! 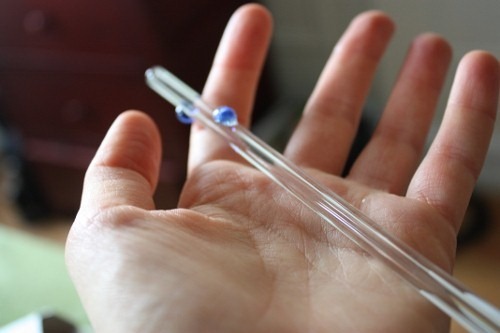 I ADORE my Glass Dharma straw and feel a real loss when I am out and have to go without it! Beautiful aren’t they?! The smoothie sounds delish….I’d definitely try Brendan’s products if they were in Australia! Wow, this smoothie looks amazing! 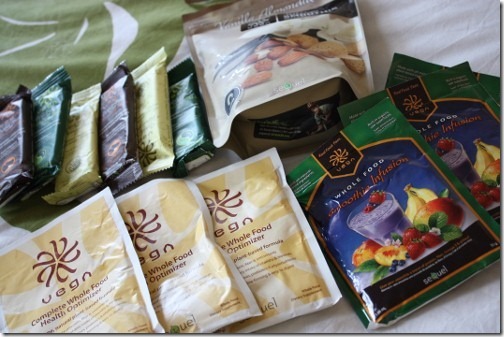 I’ve never had the vegan protein products, only the bars (which I loved). 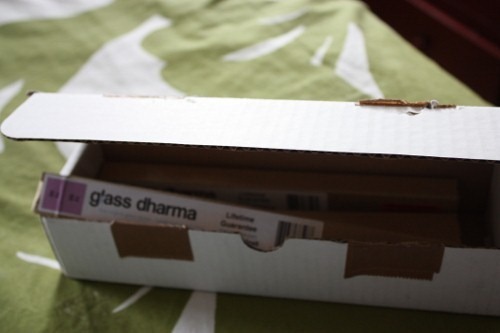 Oh and I looove Glass Dharma, awesome, awesome company! Enjoy your walk..I’m jealous! I never thought to make smoothie with squash! That sounds so amazing. That looks so seasonal and delicious! I am all for a cold and refreshing way to get seasonal flavors since it’s still so hot here in TX. And the straw is kind of amazing! That smoothie looks perfect for fall. I can’t wait to try it. I love those glass straws too. So true about the small things adding up. I think it’s a work in progress for many people. I know it is for me. Oh yum! I love making pumpkin pie smoothies, but I’ve never tried using butternut squash before. Looks good! OMIGOSH! That smoothie truly does look to die for. And how appropriate for fall! We use vega products too and love them. 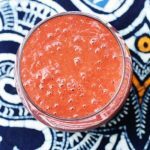 I often use butternut squash puree in place of pumpkin in my recipes, so this sounds like a great alternative to my usual pumpkin-banana smoothie! I want the glass straws so badly! And this sounds absolutely incredible. How easy are the glass straws to clean? I just made this and it was delicious! I didn’t have any Vega but I added some almond butter and it was luscious. SO YUM! I will definitely be making this again (and again!). Thanks for the recipe! Wow, butternut smoothie, you’re a genius! I have been eating massive amounts of butternut squash from the moment it appeared at the market, and this is definitely going to be added to my repertoire! thank you, i totally skipped over that section! um, wow…to die for indeed! i love that you used butternut squash too since it would take a miracle to find any pumpkin right about now! Glass straws, glad you got in on the action! Ive had mine for a couple years and I go thru phases where I use straws tons, and then not so much for awhile. Anyway though YES, it’s the little choices; the small things that can really help the environment. Like that 1 ziplock baggie for kiddie treats per day. Well, 365 days a year of baggies x years of child’s life = crapload of baggies! Or straws, or whatever it is. I try to reuse my baggies or use reusable containers or glass straws or things like that. I am glad you mentioned the small things, yes, it is! Have a super Sunday afternoon! Thanks for that recipe! Sounds like a very unique and tasty idea. I’ll have to try it. I’ve tried all of the Vega products and love them, especially the berry protein powder health optimizer. It makes green smoothies really good. Whoa, poofy vest? She means business. This sounds SO good. I have indeed been admiring the bountiful winter squashes popping up. Need to start looking out for canned pumpkin, too! It’s elusive these days. Gena I totally agree with you that there are so many small ways to make a difference! I had never thought about the McD straws — and that is only one restaraunt out of how many in the world? Wow, that is some huge numbers we are talking about! That shake looks delicious — I love all of the fall flavors. Have you considered just not using straws at all? This would eliminate not only disposable straws, but also manufacturing glass straws, their cute little cleaners and all the packaging that goes with it? I think a better habit than carrying around a glass straw is to just not use them at all. I think I use a straw maybe once a year…and even then I don’t *need* to use one, it’s just a preference. Point taken, Michelle. I really like drinking smoothies through straws, so for me, having a glass straw is a worthy and long term investment. But you certainly have a good perspective. I looove Vega products..the shake and go, the vibrancy bars, the whole food optimizers! Gena, that smoothie sounds ridiculously good! I don’t think I ever would have through about glass straws, but it makes so much sense! 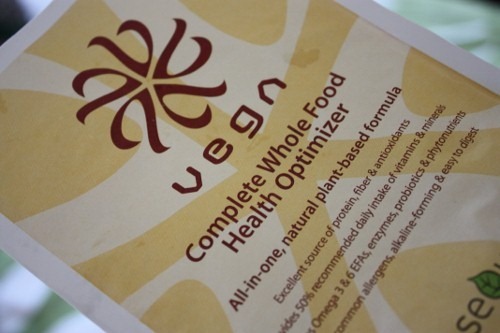 I’m not a fan of vega’s whole food optimizer flavors, but I love everything else of theirs. That being said… your recipe sounds delightful! yum! Do you mean ginger powder or fresh? 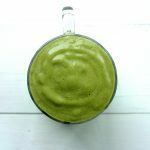 So, This has nothing to do with your post, but I thought I should share a recipe I created with you. The coffee lover in you made me think you might like it. I haven’t posted it on the blog but basically mix equal parts almond milk and coffee, with any flavoring you might like and sweetener if you choose and add chia seeds for a super chia pick me up in the morning! I’m not a straw person but I do have a bad habit of buying tea with soymilk, all the time, in paper cups with plastic lids. I must commit to using a travel mug and frequenting a stand that allows reusable containers. Vega! So good. I’ve only tried a few of their bars and really enjoyed them. I’m really impressed that you cooked a squash to make a smoothie. I would have just looked at it sitting on my counter for about 6 weeks, telling everyone all the cool things I was going to do with it, then tossed it out in a fit of frustration. I am very excited about both the prospect of integrating butternut squash into my smoothies and having a glass straw to sip it through (I usually just chug mine down and get a very unattractive smoothie ‘stache). I’ve been eying those glass straws for some time for a cleaner way to enjoy breakfast smoothies, but was worried they might be a hassle to clean. Thanks for the smoothie recipe, it looks divine and perfect for fall. LOVE the sound of that smoothie! That’s such a coincidence, I just made a sweet potato smoothie! The Vega addition sounds marvelous! Just made this smoothies for breakfast, it definitely was no exaggeration when you said its to die for! I’m also roasting the rest of my butternut squash and some other veggies as we speak, thanks for the great recipes! Awesome! Was the squash raw or cooked? this is so delicious with delicata squash oh my heavens, I wasn’t sure I would like the squash in a smoothie or the vega chai. You sold me. I am having a hell of a time trying to find Vega products in MN. I tried 2 of the GNC’s by me and neither has them and 2 of the healthy grocery stores by me doesn’t carry them either. The closest that carries them is Whole Foods, but they don’t have the Chocolate Flavor of the Optimizer for some reason. Can you help out??? This looks to die for! I made a pumpkin pie one today but Im going to have to try your b’nut squash for sure. It sounds even better than what I made. yum yum yum. Gina- this looks so delicious. Did you puree raw squash or was it cooked? Daaaaang. I’m sitting here in my PJs having made a half portion for a lil jet fuel before I work out, and I feel like I’m drinking pie filling! Which is AWESOME. Modifications based on what I have: pumpkin instead of b-nut, 1/2 scoop vanilla sun warrior instead of vega, plus a dash of nutmeg. Well done. Pat on back. I made the butternut squash smoothie! I adjusted a bit because I don’t have the Vega Vanilla Chai (I have a chocolate one, but I didn’t think that’d go so well with butternut squash), so I used a packet of Healthforce Nutritionals vanilla spice maca, which doesn’t have a very strong flavor. I ended up adding an additional tsp of cinnamon and 1/2 tsp of ginger, 3 dates, and 2 more handfuls of ice. YUM! Hey there! I just made this recipe and I’m really enjoying it! is the squash cooked or raw? hello, when can I find these straws? I am in France, I need internationnal shipping.